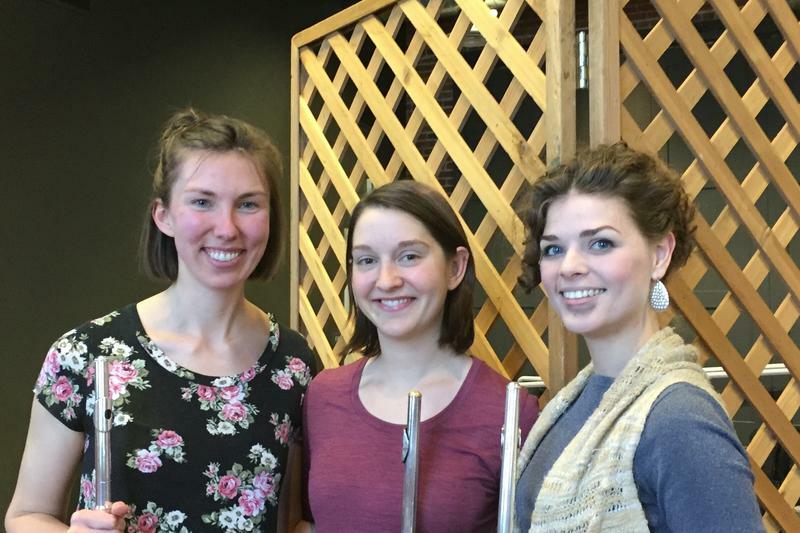 Mara Winter plays flutes inspired by the 16th Century while visiting the Spokane Public Radio performance studio. Master flutists, Jennifer Slaughter, Alicia Mielke and Clara Mannino will perform a concert of classical trios and holiday music this Sunday, at the Fairplay Concert Hall, near Harrington Washington. They performed a preview and spoke with Verne this morning about the program. For more information, visit the Spokane Public Radio Arts Calendar. From the Studio presents the Golden West Winds. This group is part of the United States Air Force Band of the Golden West from Travis Air Force Base, California. 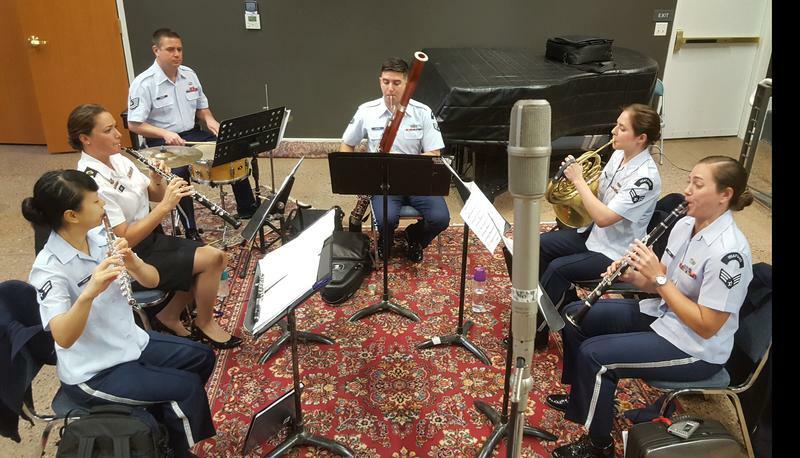 Performers include A1C Candy Chang on flute, SrA SSG Natalie Wren on Oboe, TSgt Andrew Tucker plays percussion, SrA Daniel Shifren on bassoon, A1C Emily Hoffner on French Horn and SrA Alaina Shaw on clarinet. 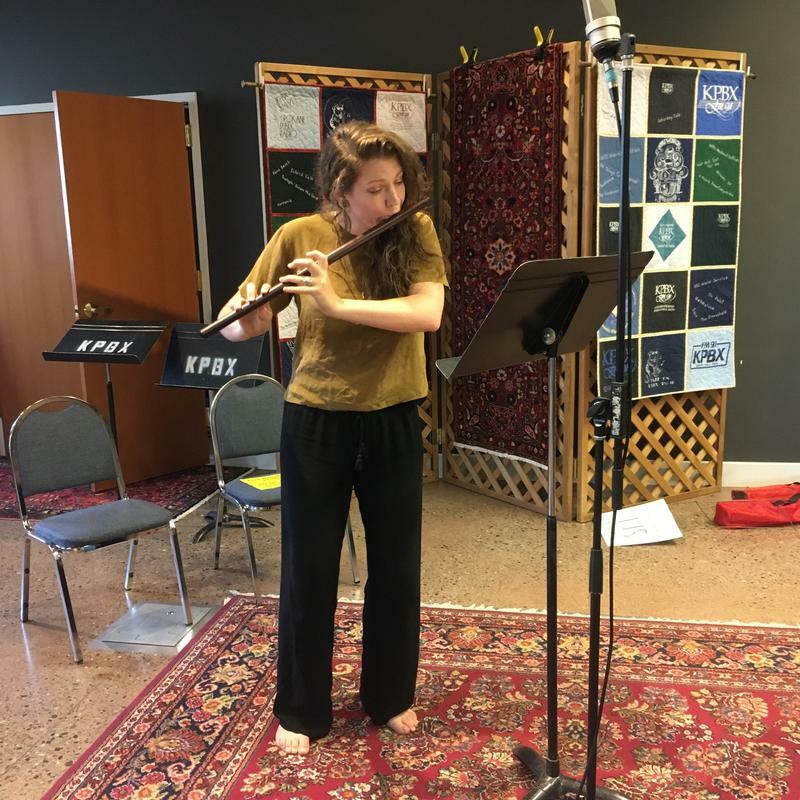 Shannon Scott, Clarinet, and Leonard Garrison, Flute performed during Monday morning's Classical music program, and introduced their new CD, "Chimera." For more information, visit Albany Records.